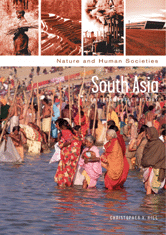 This work is a chronological study of South Asia that emphasizes the effect of humans on their environment, and in return the influence of nature on the evolution of human society. Specific topics range from ancient irrigation techniques and peasant adaptation to the environment, to the impact of imperialism on nature, the effect of post-colonial technology on contemporary life, and the enduring influence of religion on the way South Asian societies address ecological issues. Includes chronology and maps.